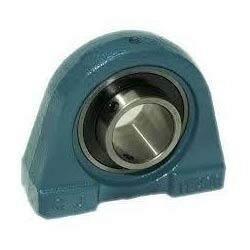 Pillow Block Bearing | Nagpur ,India from Universal Engineering And Trading Co.
We have been highly affianced in the realm of presenting a top class range of Mechanical Engineering Services. The offered services are given by a team of skilled professionals who ensure that the services yield best of results that too in line to the specifications of our clients. Above all we ensure that we provide these services at the earnest possible time and at a leading market rate. Universal Engineering And Trading Co.
Having employed a best class of professionals at our company premises who are differently abled in their specific work area, we present a highly impeccable class of Electrical Engineering Services. Moreover our services are offered in line to the national standards and norms ensuring that the services presented are in all regards safe and yield resilient results.